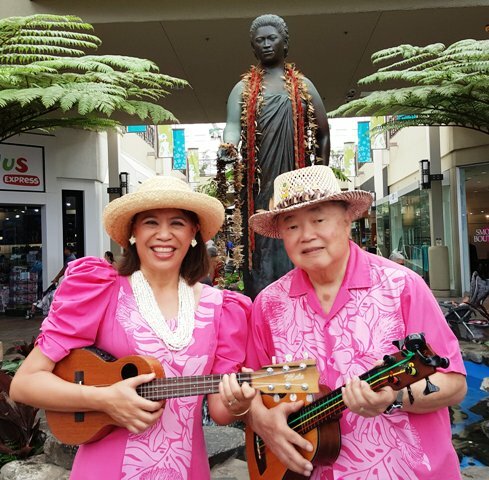 Our professional duo The Hawaiian Serenaders have recorded over 100 songs with vocals, 'ukulele, and u-bass and invite you to join in singing and playing along with us. 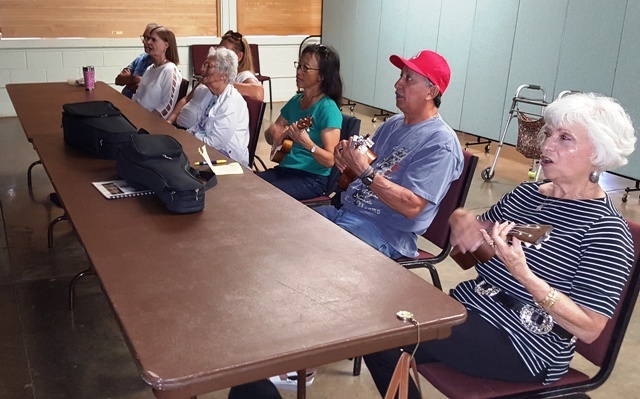 Check out Ukulele Mele classes offered at Kaunoa Senior Center! Check out the special for new instrument owners! Look who is in China's Voyage Magazine! 1. SIGN UP NOW to receive our monthly e-newsletter "UKE News You Can Use" coming to your email inbox on the 1st of the month. Plus, you get the free 7-page publication "Meet Your Ukulele" that introduces you to the history, types, parts, turning, hand positions, buying tips and more. 2. Like Ukulele Mele on Facebook as well as on Maui! 3. Visit Mele's blog on Ukulele Mele Mondays to gain insights on Maui's music scene, Hawaiian history, and more. Special New Year's posts were published on December 31, 2013, with continuous postings starting on January 6, 2014. 4. Bookmark Ukulele Mele's Event Calendar to view the calendar of classes and performances. "Free spirited, bright-eyed Mele Nani Fong made KGMB TV Channel 9 news during a recent telecast of the Kuhio Beach Wall body surfing championships (she placed second). One week later she made her singing debut on KHON TV Channel 2 during Danny Kaleikini's Saturday Movietime show. The 15-year old surfer-singer gal on the go has composed seven folk songs in less than six months, her gentle Rain sounds like a potential hit."